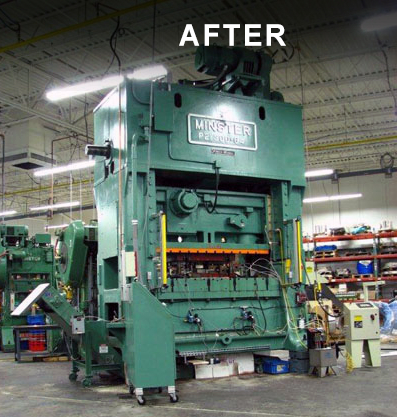 300 Ton Minster before and after – StampTech Inc. Remarks : This was a 1954 Minster P2-300 with an 84” bed. We rebuilt to new with a 1 year warranty. 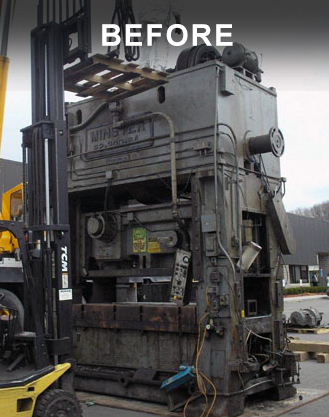 We supplied and installed a CWP Servo Feed, Straightener and Reel as well as all new electrics and an OSHA compliant press control.